Avicii: True Stories is coming to Netflix, offering fans an insight into the life and work of the beloved Swedish DJ. The 2017 documentary was removed from Netflix earlier this year, but will return on December 28. Directed by Stockholm-based filmmaker Levan Tsikurishvili, the documentary follows Tim ‘Avicii’ Bergling over a period of four years; exploring his mental and physical health issues, introversion, and the pressures of touring. There are of course moments of joy, with Avicii’s enduring passion for electronic music and creative collaboration shining through, despite his discomfort with certain aspects of the music business. 'Avicii: True Stories' will share the life and times of the Swedish DJ/producer, and saw a limited release in Scandinavia last year. Director Levan Tsikurishvili teased the return of the documentary on IG, and in November, it was announced the film had qualified for Oscars consideration. The fly-on-the-wall documentary is a heartbreaking watch in light of Avicii’s death on April 20, 2018, at the age of 28, with certain moments proving even more poignant. Covering the highs and lows of the gifted DJ’s meteoric rise, the film details how Avicii had been struggling with the stresses of a hectic schedule in the spotlight; using alcohol as a means of calming his nerves before shows. There was never an end to the shows, even when I hit a wall. My life is all about stress. Tim is going to die, with all the interviews, radio tours and playing. He’ll drop dead. I wanted to do a brutally honest film about Tim as a person and not only about Avicii. Everybody knows Avicii but very few people know Tim. I think this documentary really shows Tim’s struggle and strength of character. Being a worldwide superstar artist is not as easy as it looks on Instagram. 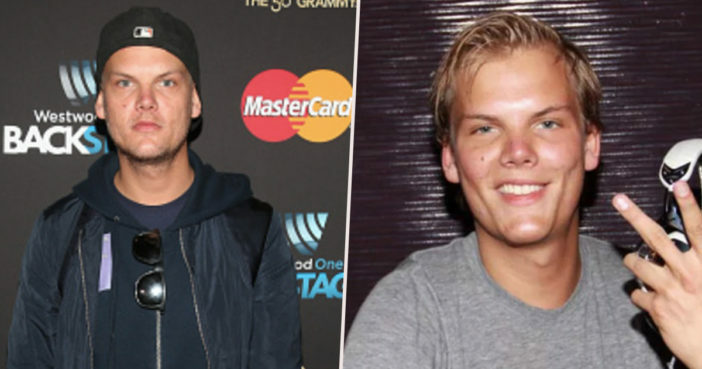 What I think I want people to understand about Avicii is the actual person behind it which is Tim. What I mean by that is, it’s so easy to judge nowadays from social media, and the press, and all the information we are getting from our phones. We really don’t know who the person is, but you think you know – that is what I think is the biggest point with that. Also, there is the whole explanation of who he is and how his life has been the past 8 years. Avicii: True Stories will be back on Netflix before 2019. Amazing news, more people need to be able to understand Tim’s life and story. Breaks my heart that he is rarely spoken about compared to other artists who have recently passed such as Peep and X. Tim’s was my idol from 8. AVICII: true stories *finally* being released on Netflix in Europe on December 28th. The documentary ends with a seemingly more content Avicii relaxing on a paradisal Madagascan beach, suggesting he had turned a positive corner after firing his manager and retiring from touring. Speaking with The Guardian in December 2018, Tsikurishvili admitted this sunny conclusion to the narrative was ‘chillingly false’ in retrospect. In November 2018, it was announced Avicii: True Stories had qualified for Academy consideration. Avicii: True Stories has Qualified for Oscars Consideration. This documentary hasn’t left a single person emotionally untouched and even if some memories are very painful for me to watch, I’m very proud and thankful that we did it. Importance of looking out for one another has never been more important than NOW, and I DO hope that we’ve changed SOMETHING to the better in this industry, especially for the younger generation. You can Avicii: True Stories on Netflix as of December 28 onwards.